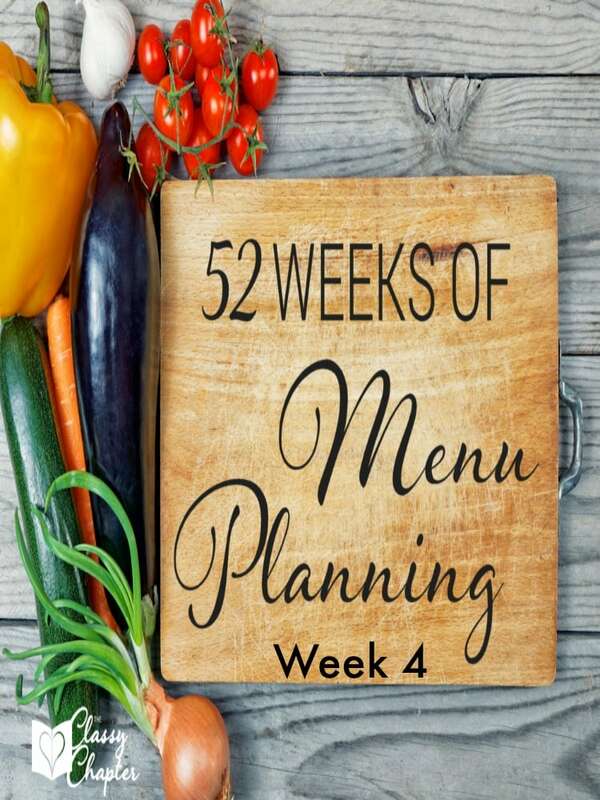 52 Weeks of Meal Planning (Week 4) + Free Printable! I’m loving this meal planning series and trying out so many tasty new recipes! However, I’m going to be honest here and let you know this past week hasn’t been that great for me. I’ve been seriously slacking on my meal planning! Work and family life has kept me busy. All the more reason to meal plan, right? This week I have a mixture of my favorites and favorites from some awesome bloggers from around the web. Monday – Korean Tacos let me tell you, these are so tasty and you can really turn up the heat on them! This is a must cook recipe. Best part is this recipe cooks up in under 30 minutes! Tuesday – Turkey & Sausage Meatballs healthy and tasty…major win in my book! Bonus, if you are doing a low-carb diet these will fit in perfect! Wednesday – Homemade Posole prior to posting this recipe I thought everyone knew what posole was. I was wrong! Well let me tell you, it’s a homemade and very authentic Mexican soup. It’s so yummy and believe me once you try it you’ll fall in love. Sad part is hardly any restaurants make it (they like menudo…yuck!). Thursday – Cheesy Quinoa Casserole quinoa is all the buzz lately, so I’m excited to try this recipe. Friday – Pulled Pork Pizza I haven’t tried this recipe yet but I can tell you it’s already a win. Pork, Pizza and BBQ sauce…yes please! Saturday – Crockpot Cilantro Lime Salad Saturday is the best day to take it easy and what better way than an easy salad! Sunday – Cheeseburger Sliders it’s Game Day! Here is a great recipe to get your Game Day started. 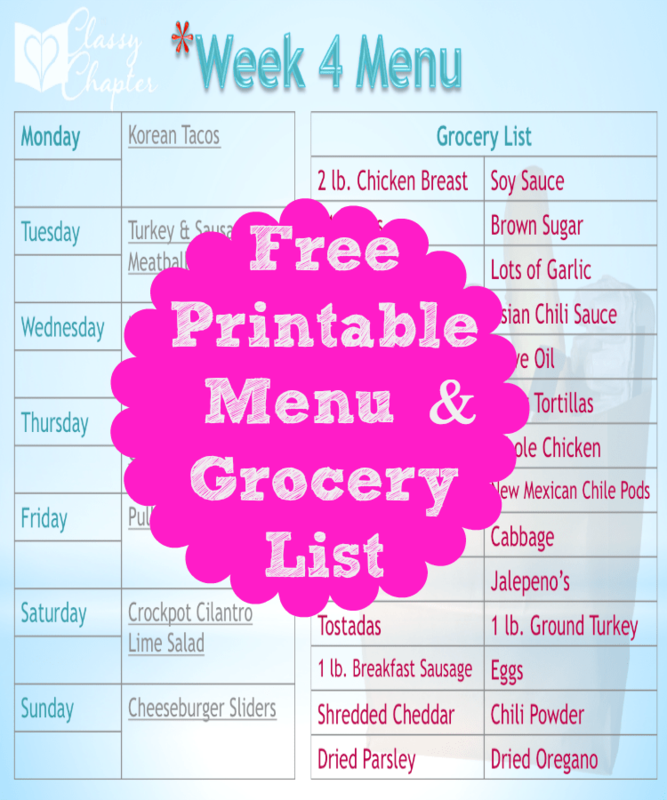 Download your FREE meal plan and grocery list here!